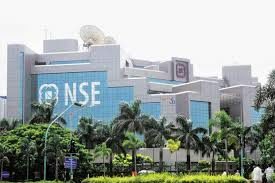 Trading on the Nigerian Stock Exchange (NSE) has on Thursday sustained its plunge for the fourth day with the market capitalisation declining by N220 billion. Specifically, the market capitalisation of listed equities dipped by N220 billion or 1.89 per cent to N11.394 trillion from N11.614 trillion posted on Wednesday. Also, investors traded 349.31 million shares valued at N3.49 billion exchanged in 4,228 deals. This was in contrast with 249.54 million shares worth N3.12 billion achieved in 4,018 deals on Wednesday. An analysis of the transactions indicated that Vitafoam led the gainers’ table during the day, gaining 30k to close at N4.80 per share. CAP followed with a gain of 25k to close at N31.75, while Learn Africa appreciated by 11k to close at N1.37 per share. Union Bank of Nigeria added 5k to close at N6.25, while Sterling Bank increased by 4k to close at N2.39 per share. On the other hand, Dangote Cement recorded the highest loss, dropping by N4 to close at N190 per share. Nigerian Breweries trailed with a loss of N4 to close at N74, while Julius Berger dropped by N2 to close at N26 per share. Stanbic IBTC depreciated by N1.80 to close at N45.20, while Unilever went down by N1.55 to close at N35 per share. The trading result, however, showed that United Bank for Africa was the investors delight, exchanging 123.71 million shares worth N859.28 million. Transcorp followed with an account of 33.21 million shares valued at N41.52 million, while Custodian and investment traded 32.91 million shares worth N204.03 million.